In this paper, based on the properties of the left-sided quaternionic linear canonical transform (QLCT), an uncertainty principle is established for the left-sided QLCT. It states that the product of the variances of quaternion-valued signals in the spatial and frequency domains has a lower bound and only a 2D Gaussian signal minimizes the uncertainty principle. Hamilton, W.R. (1866) Elements of Quaternions. Longmans, Green and Co., London. Kantor, I.L. and Solodov-nikov, A.S. (1989) Hypercomplex number: An elementary introduction to algebras. Springer-Verlag, New York. Sangwine, S.J. (1998) Color image edge detector based on quaternion convolution. Electronics Letters, 34, 969-971. Evans, C.J., Sangwine, S.J. and Ell, T.A. (2000) Hypercomplex color-sensitive smoothing filters. IEEE International Conference on Image Processing, 1, 541-544. Mawardi, B., Hitzer, E., Hayashi, A. and Ashino, R. (2008) An uncertainty principle for quaternion Fourier transform. 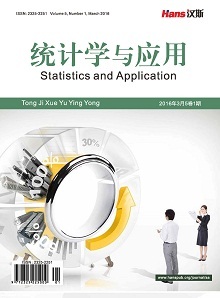 Computers and Mathematics with Applications, 56, 2411-2417. Moshinsky, M. and Quesne, C. (1971) Linear canonical transformations and their unitary representa-tions. Journal of Mathematical Physics, 12, 1772-1783. Collins, S.A. (1970) Lens-system diffraction integral written in terms of matrix optics. Journal of the Optical Society of America, 60, 1168-1177. Healy, J.J. and She-ridan, J.T. (2010) Fast linear canonical transforms. Journal of the Optical Society of America A, 27, 21-30. Tao, R., Qi, L. and Wang, Y. (2004) Theory and applications of the fractional Fourier transform. Tsinghua University Press, Beijing, 73-76. Barshan, B., Kutay, M.A. and Ozaktas, H.M. (1997) Optimal filters with linear canonical transformations. Optics Communications, 135, 32-36. 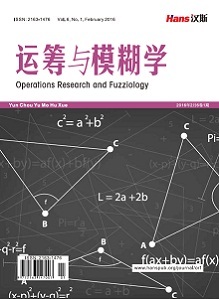 Pei, S.C. and Ding, J.J. (2003) Eigenfunctions of the offset Fourier, fractional Fourier, and linear canonical transforms. Journal of the Optical Society of America A, 20, 522-532. Sharma, K.K. and Joshi, S.D. (2006) Signal separation using linear canonical and fractional Fourier transforms. Optics Communications, 256, 454-460. 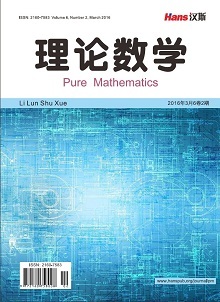 Xu, G.L., Wang, X.T. and Xu, X.G. (2009) Generalized Hilbert transform and its properties in 2D LCT domain. Signal Process, 89, 1395-1402. Tao, R., Li, B.Z., Wang, Y. and Aggrey, G.K. (2008) On sampling of band-limited signals associated with the linear canonical transform. IEEE Transactions on Signal Processing, 56, 5454-5464. Stern, A. (2008) Uncertainty principles in linear canonical transform domains and some their implications in optics. Journal of the Optical Society of America A, 25, 647-652.